I bought a bead while on a little road trip last week to Pittsburgh/Cleveland. It’s called Dancing Fairies Meadow by True Beadz and is incredibly versatile. 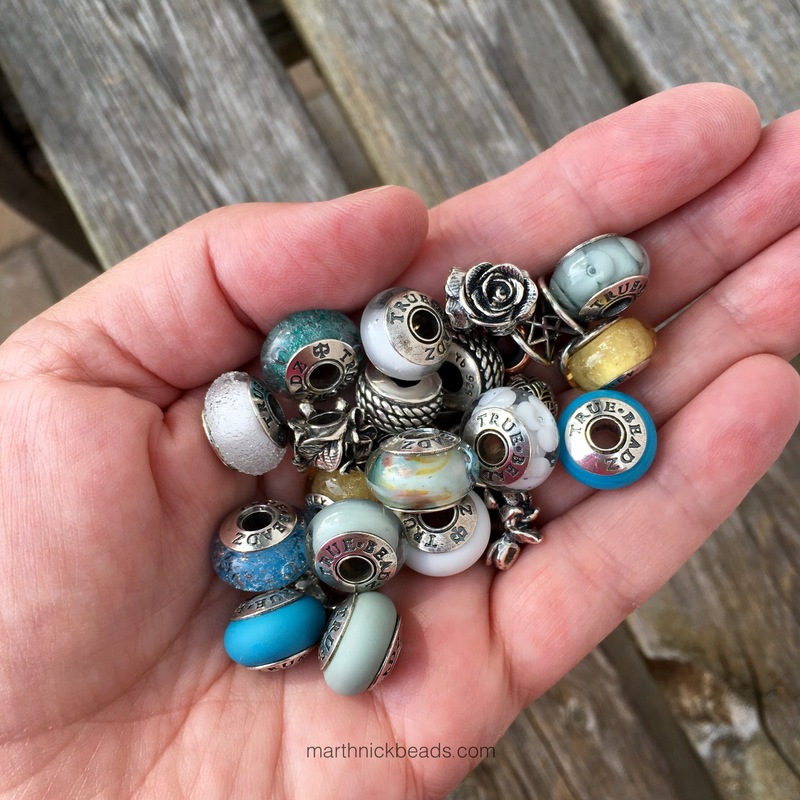 I love beads that have different colours in them so you can get a range of looks! It’s a bit like a painting, with white, blue, yellow and some coppery bits too. First I put it on my copper bangle as that’s what I had with me. 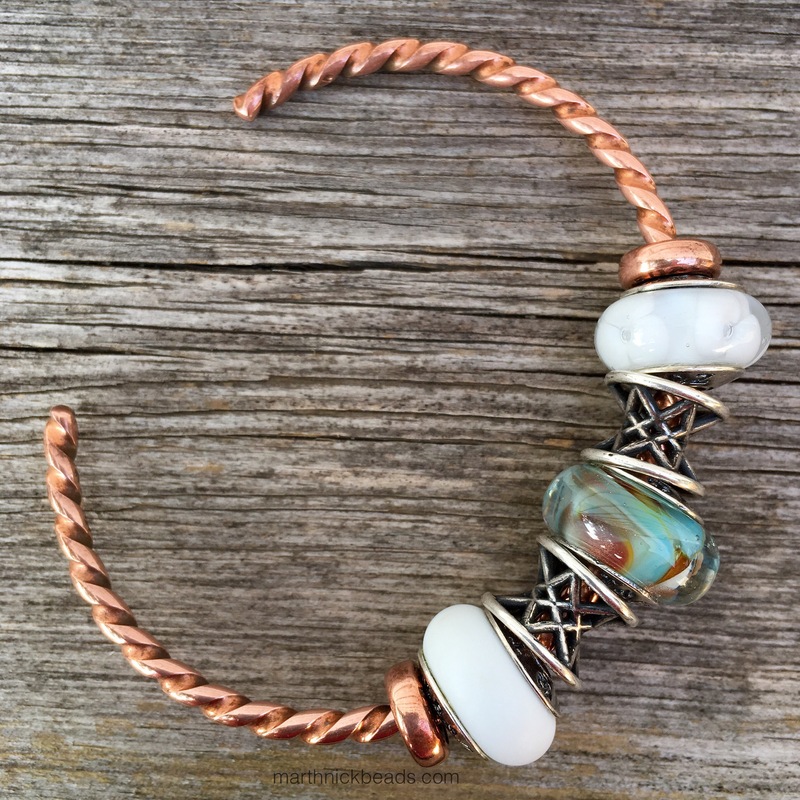 Here’s another version using the Trollbeads Twisted Copper Bangle. 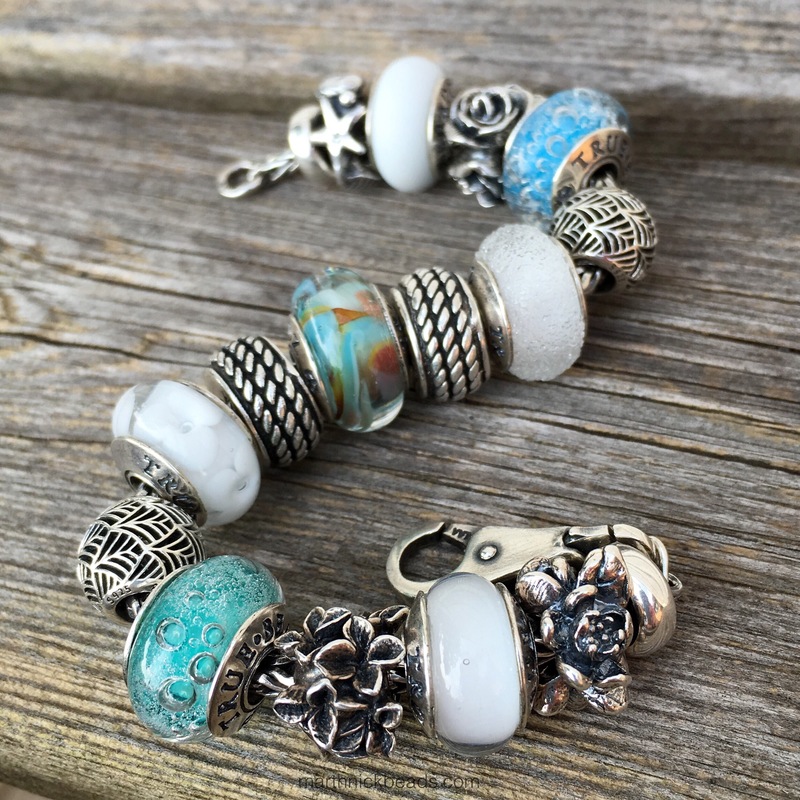 Here I’ve got two beads from the Siberia shade, a Blossom and a Touch, with a couple of the Trollbeads Smile of Stars. When I looked closely at the bead, I saw lots of blue and tried to match it up with the True Beadz I have. I think the Eastern Sea colour looks nice with the Dancing Fairies Meadow. Angel from Great Lakes Boutique, who helped me pick it out, thought it would like nice with Linen and I also like it with Blue Mist. Below left to right are True Blossom Blue Mist, 3 Roses, Dancing Fairies Meadow, Lilac and True Air Blue Mist. Blue Mist is such a rich colour and I think it looks amazing with silver! For the last bangle I wanted to bring out the yellow so used my two Pandora Disney Belle Muranos. I think this is my favourite look! Now for a full bracelet, using the two new Alchemy Beads, the white Siberia beads, the Redbalifrog Rope silver beads, Pandora silver Tropicana beads plus four silver True Beadz: Shells n’ Star, 3 Roses, Lilac and Lotus. 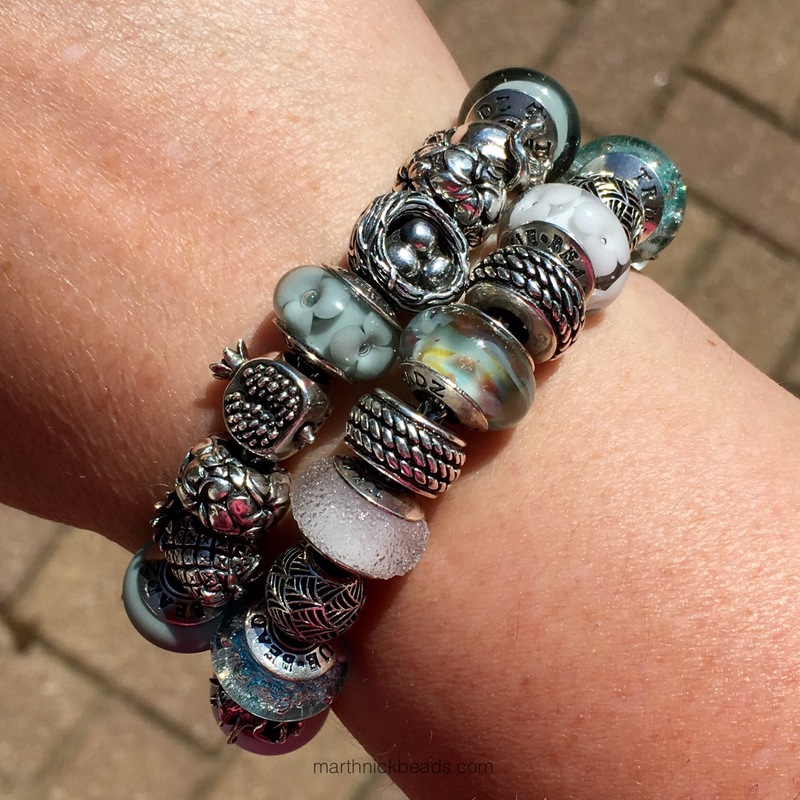 In the sun the Siberia beads look amazing, I think! I put it on with a Redbalifrog silver and True Beadz Blue Mist bracelet I had made up for the nature themed #weekendbeads. When I gathered up all the beads after taking these photos, it struck me how lovely they looked in a jumble and what a testament it is to Julia’s skills with colour! So, feel free to pick a favourite look! I’m sticking with the one with the yellow beads. 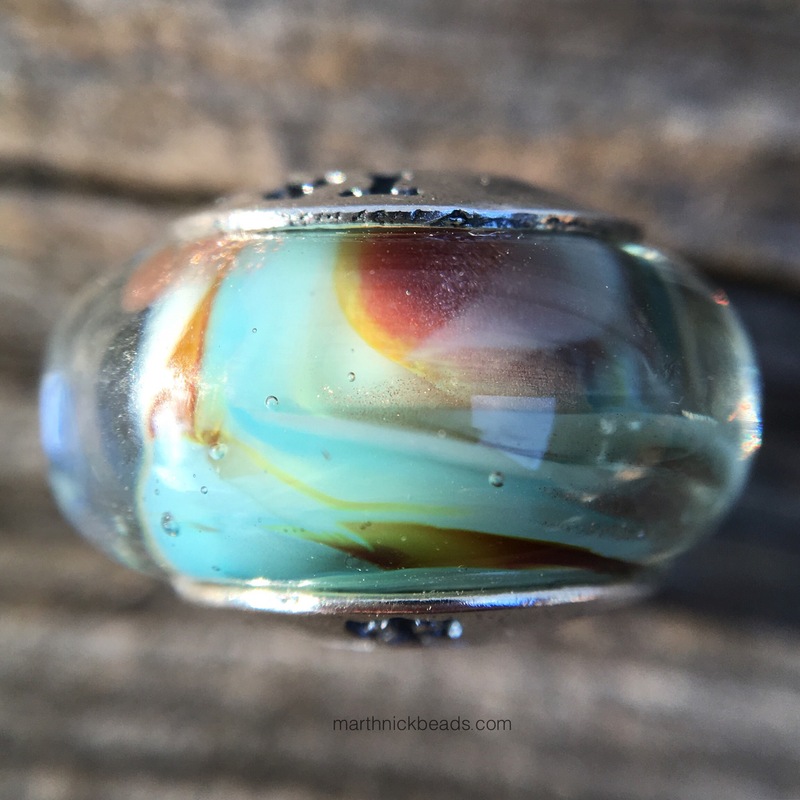 😀 Coming up Wednesday will be the new Trollbeads Carolina Jessamine Lock and earrings. I ended up wearing the lock on my trip, using it as a focal point on the top of a bracelet and really liked it. 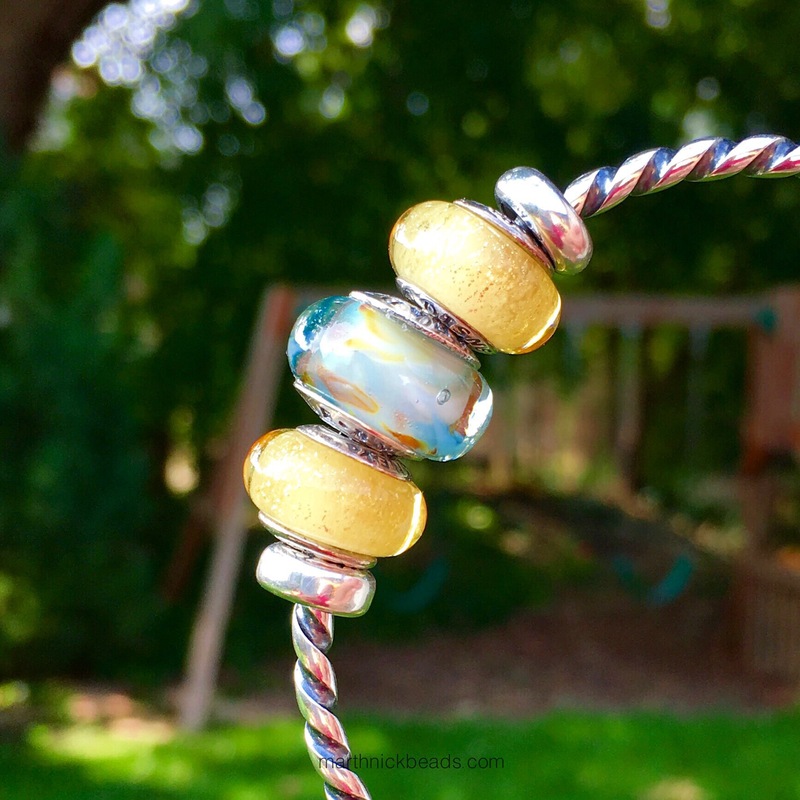 What a great bead, and it’s so fascinating how it can look so very different by changing the accent beads to pull out different colors. 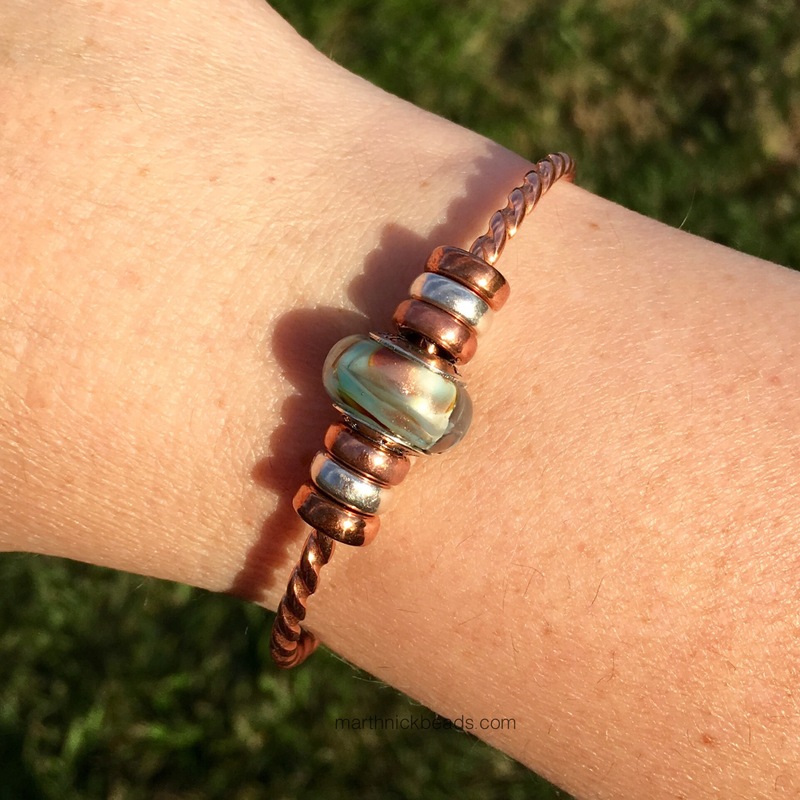 It’s hard to pick a favorite look, but I really like both the initial look on the copper bangle with just the spacers and the yellow one. And how fun to sneak in a visit to Great Lakes. I am so looking forward to their event next month! Kim, you are just going to love seeing all the beads in person. What day are you going? I will be there Saturday…hopefully we can meet up. I’ll be there both Friday and Saturday. A friend and I are making a girls’ weekend out of it, and it should be a lot of fun! I’ll look forward to seeing you there! 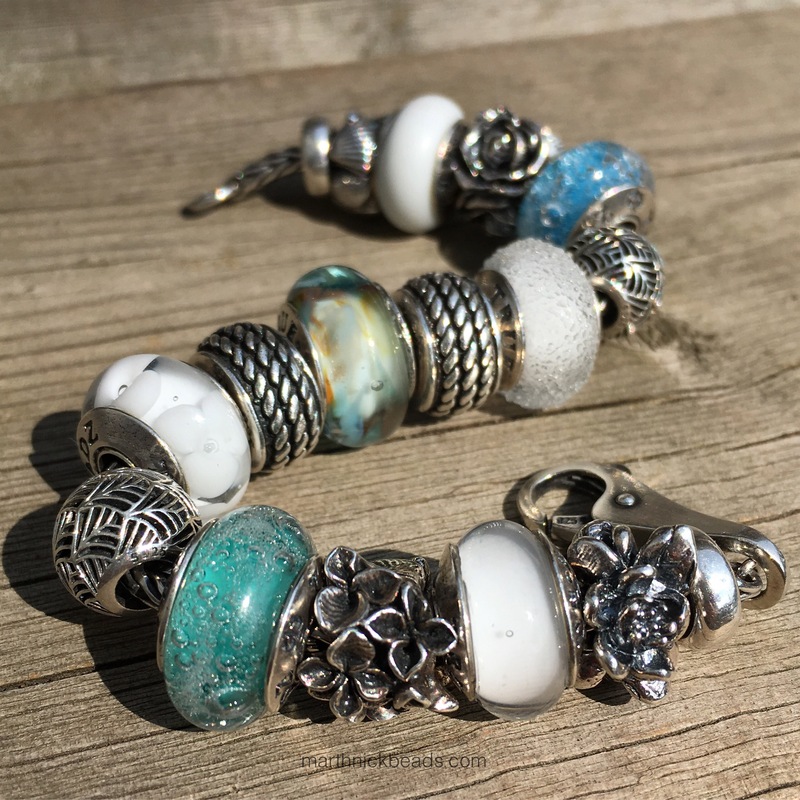 It’s such a perfect bead for your collection and colour pallet, isn’t it? I also love the way it looks with the Disney Muranos, it really glows. I am looking forward to seeing Trubeadz in person and choosing a beauty or two for myself. I really love the swirls of colours in it. And yes, so nice to pick out in person! There’s one with swirls of pink and purple I will most likely buy. 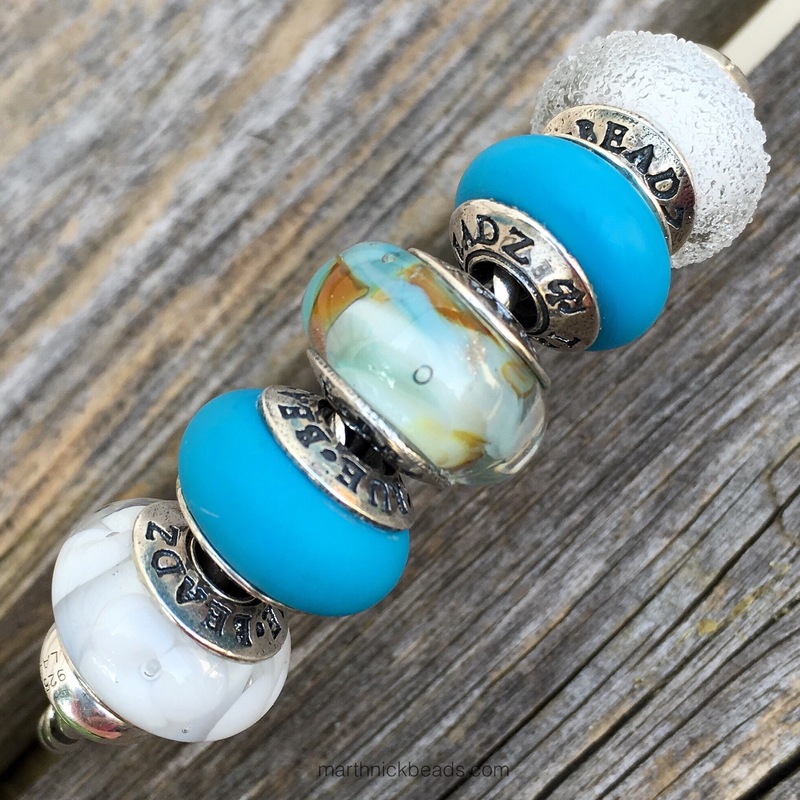 Very pretty bead, I am trying to figure out what True Beadz I want for the Great Lakes event promo, I know I want a True Tower and Sealife dangle but still deciding on my other 2 beads! I will probably go for something in the Instant collection if I go for glass, Dancing Fairies Meadow definitely caught my eye so I was excited to see you feature it today and it looks really pretty and versatile in all of your combos! I like the Holy Grail bead too (I already have the lovely similar Antique Lace) and the sparkly City Lights beads. So hard to decide…. 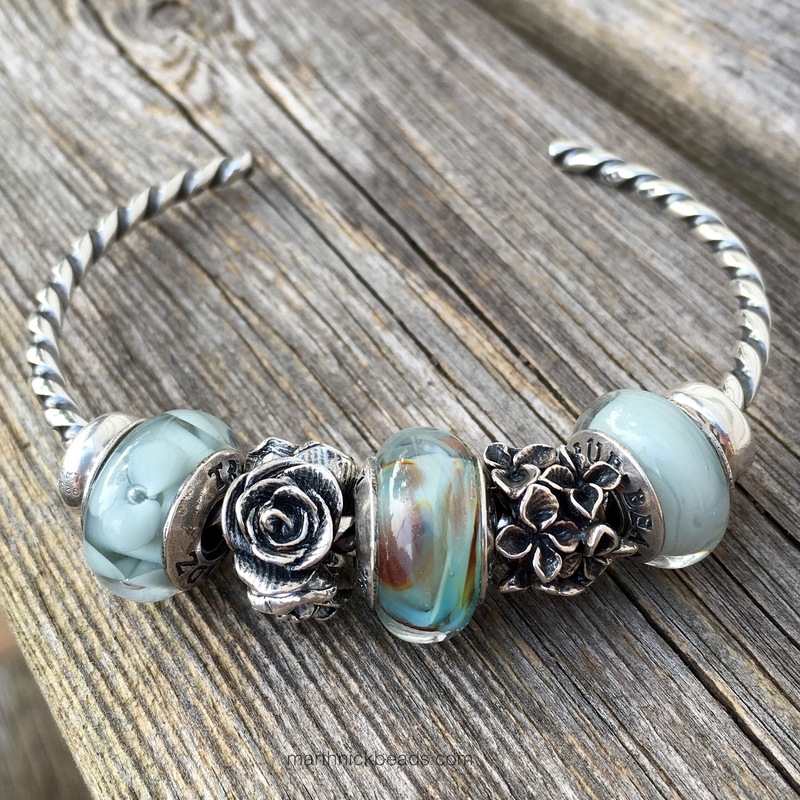 My favorite look is the silver bangle with Blue Mist, Lilac, and 3 Roses. Love how you arranged it on each different carrier (copper, bangles, chains) and really showcased this bead’s versatility. Great purchase! Thanks! I also really like the bangle with the Blue Mists. It was so exciting to see the whole range of True Beadz in person! Ah, I couldn’t choose a favourite from those combos, they are all so great! Thanks Tracy! Julia’s colours really do go well together.